Can a plant find its way through a maze? 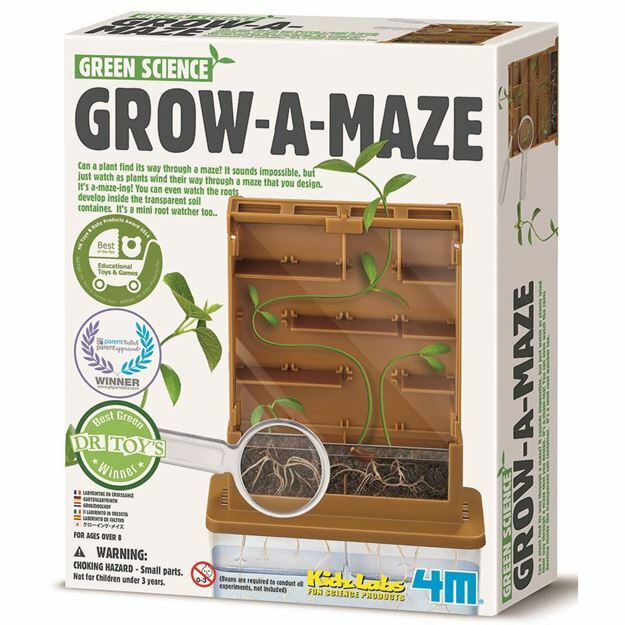 It sounds impossible, but just watch as plants wind their way through a 4M maze that you design. It's a-maze-ing! You can even watch the roots develop inside the transparent soil container. Includes: a grow chamber, water pot, soil container, magnifier, dropper, 2 cover cards and detailed instructions. Age 8+ years. Part of the Green Science range. Distributed in New Zealand by Holdson.